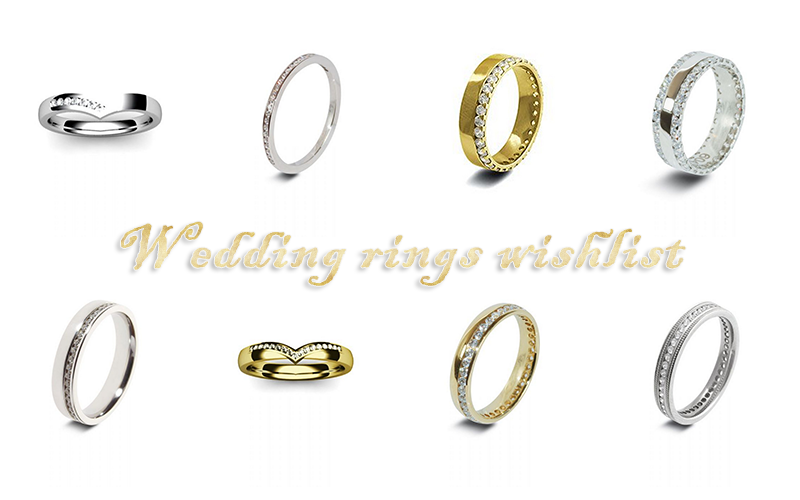 Wedding rings wishlist - Cherry Colors - Cosmetics Heaven! Last time I talked about all the fashionable Engagement rings and it's only natural that today I am talking about wedding rings. Since there are so many beautiful wedding rings, I put them by categories, so my dear *wink wink, nudge nudge* will know what I like, haha. I think these are one of the most classy ones. The shiny diamonds speak to my soul and I am happy just looking at them. Brilliant! Of course, they come in different materials, from rose gold to platinum. Two-toned wedding rings have been all the rage the past few years. The combination looks fresh and very young but I am sure it is appealing to older ladies and gentlemen. I'd prefer a nice bulky two-toned of maybe double or even single diamond set wedding ring. Actually, truth to be told, combine two of them (two toned + double set) and I'd probably have a bit bulky but still wonderfully sparkly ring to wear. These remind me of the rings we had as kids but with a classy twist. I am actually really digging the different shape of them. To me, they look minimalistic even with diamonds set in them. Of course, they come in many different shapes and not just heart shaped, but I am a fan of heart shaped things, so I picked these two for the photo. You can find all the wedding rings pictured and more on Orla James. 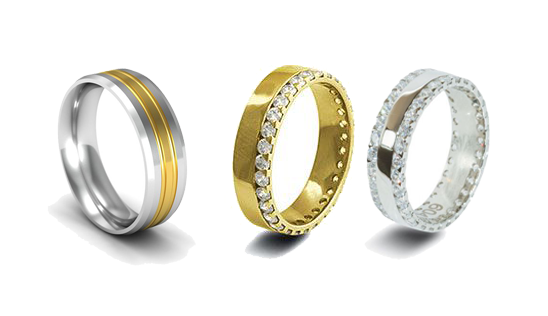 Which ring would you pick as your wedding ring?